Annual herb of the Gentian family – Gentianaceae – up top 40 cm. Erect stems, glabrous, glaucous. Basal leaves in rosette. Leaves on the stem perfoliate. Yellow flowers, in loose inflorescences with 6 or 8 petals. Fruit in capsule. 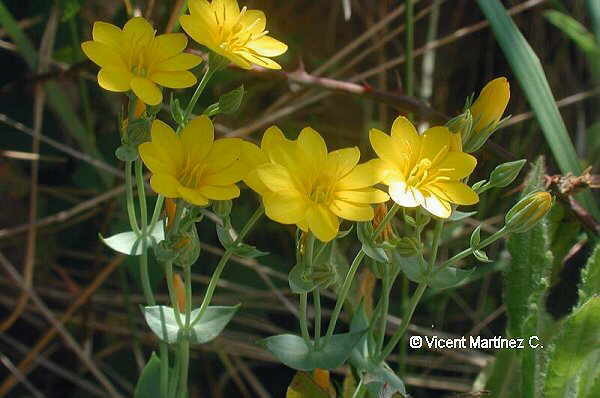 In sandy calcareous soils and dry grasslands.